As you know Canine Companions for Indepedence is a cause near and dear to our hearts. In fact, we have lots of exciting things and new products that will be released this year with all the proceeds going to CCI. But enough about us, let’s talk about the adorable Scott Foley. Because we couldn’t say it any better, we grabbed the press release from CCI’s website to give you the run down on Scott Foley’s latest good works…. “Actor Scott Foley, star of ABC’s hit drama series Scandal, has a new best friend named Esther. Esther is an adorable Canine Companions for Independence puppy being raised to be an assistance dog to help a person with a disability. Scott wants to tell you how great it is to be a volunteer puppy raiser for Canine Companions. While Esther can only use her wagging tail and cute wrinkles to talk about becoming a Canine Companions puppy raiser, Scott has her covered. 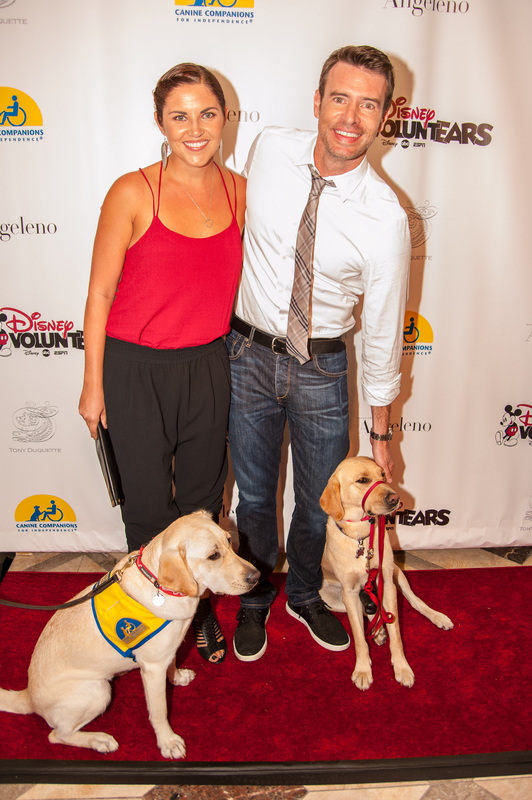 In addition to lending his voice to Canine Companions’ new puppy raising public service announcement (PSA), Scott Foley has chosen to become a celebrity ambassador for Canine Companions. “It’s such an amazing non-profit and I’m happy to help increase awareness of Canine Companions,” Foley tells CBS News in a recent interview. His ambassadorship will help raise awareness for Canine Companions, including its puppy raising program. Foley explains in the new PSA that Canine Companions is looking for dedicated volunteers who are willing to turn a fuzzy fur ball into a well-socialized and obedient Canine Companions dog ready for professional training.